Being from the south, I love it when I find out that something is more of a regional tradition than something widely known. This holds very true for what we southerners call a Sip ’N See. With more and more baby celebrations, from showers to gender reveals, it’s no surprise that people everywhere are catching on to this special event too. We’re here to tell you what it’s all about! A Sip ’N See is a celebration that is hosted after your baby is born! Generally, this event is a lot more intimate than a large baby shower, and consists of a smaller group of your closest family and friends. Instead of a venue, it’s typically thrown in the home, where the baby is most comfy. 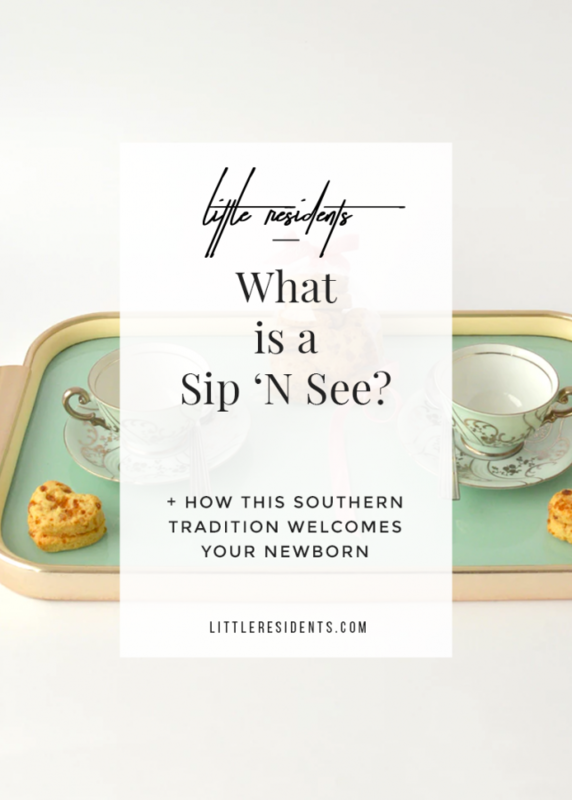 Some type of drink, ranging anywhere from tea to spiked lemonade, is served as the “sip”, while people come to greet and “see” your new addition. Gifts are not as required for a sip ’n see, which is why it’s a common and great choice for those who already have a stocked nursery, had a shower, or have multiple little ones and don’t need a ton of the major starter necessities. We suggest waiting until your baby is a few weeks old before throwing this party, but if not a ton of people will be passing your bundle of joy around, then sooner is just fine! It’s a great way to get visitors all in at once, vs having multiple visitors per week as you and baby are trying to get settled. What’s your favorite kind of baby celebration? Need help stocking your nursery? Check out our nursery concierge services.